The construction of tunnels and galleries requires major upfront investment in geological and geophysical studies. Once the excavation, support and waterproofing is complete, a final, permanent covering is applied to hide all previous work for the remaining useful life of the structure. The waterproofing is achieved using geomembranes, protective geotextiles and sometimes geocomposites for drainage. This means it is extremely important, both technically and economically, to consider durability and the capacity to adapt to the internal stabilisation and consolidation of the bored soil and covering. 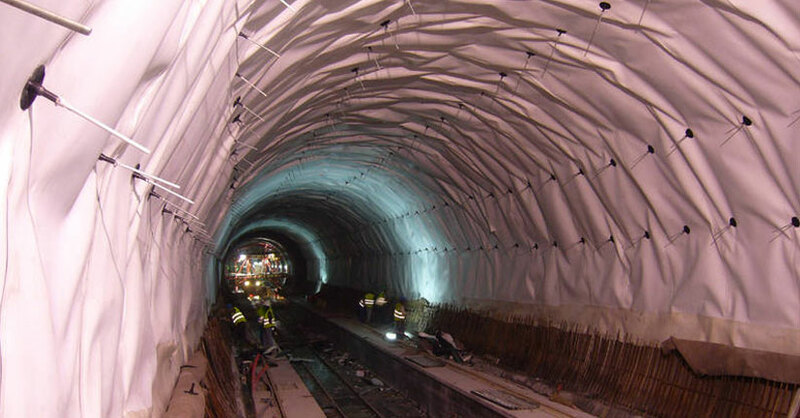 Choosing the right materials is an essential part of tunnel projects and this is reflected in tunnel regulations that now require the use of polyolefin geomembranes for waterproofing tunnels, since these are the only materials that can ensure extreme durability without altering their properties, maintaining high and stable deformation parameters.